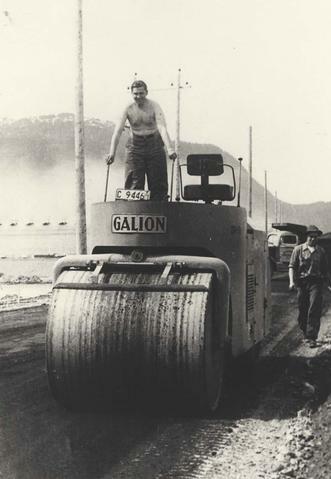 Photograph depicts Cyril Leonoff on a steamroller and an unidentified man beside him. Written on the verso: "Crop top & bottom make 2 x 4 p. 13 June 23/88. 75%. Cyril Leonoff, Kitimat, BC. June 1954."